Do whales and dolphins have hair? Home > About whales & dolphins > Do whales and dolphins have hair? All mammals have hair at some point in their life and dolphins are no exception. Dolphins have a few whiskers around their snout in the womb and when they are first born but they soon lose them. 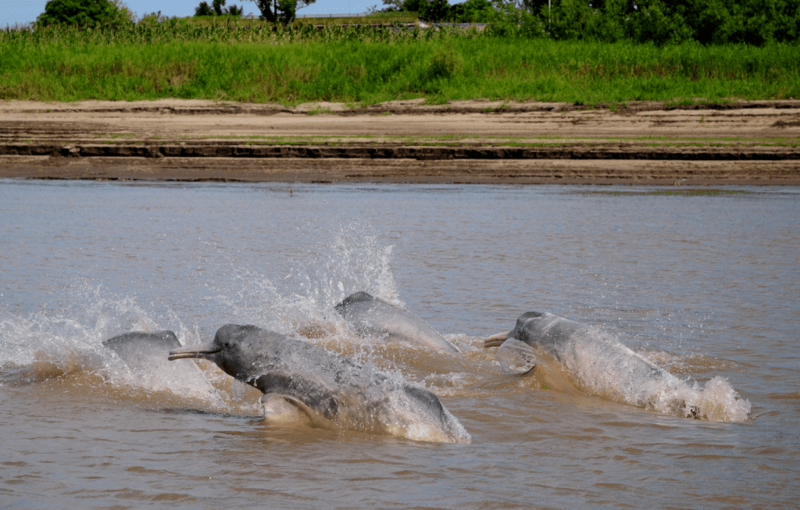 Amazon River dolphins (botos) keep these hairs into adulthood - they are sensory hairs and thought to help them search for prey on the river bed along with echolocation. The water they live in is very murky so eyesight has only limited use. The bumps on humpback whales’ heads are hair follicles and some adult humpbacks still have hairs growing from them.